Guns N’ Roses are No. 1 on the latest Billboard Top Facebook Live Videos chart with a performance of “Sweet Child O’ Mine” from their December 8 concert in Hawaii. 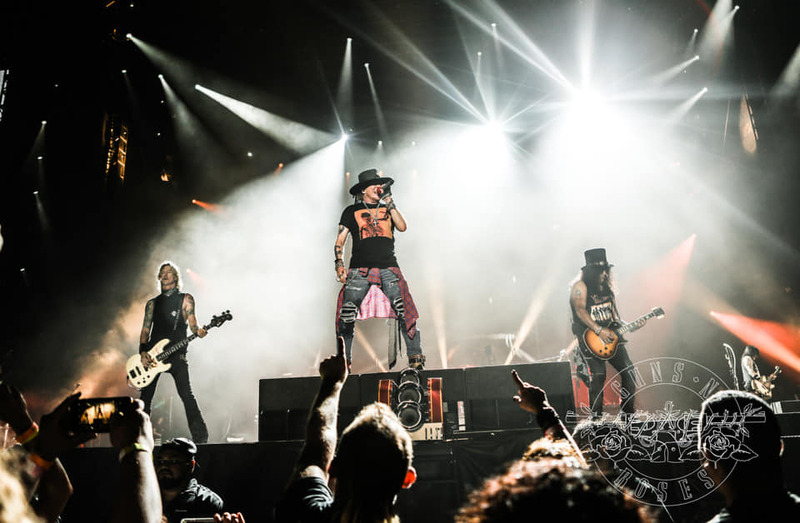 “Sweet Child O’ Mine” led the chart in two of the four metrics, including reactions (26,000) and views in its first seven days (447,000). The Honolulu date – which closed out the band’s three-year Not In This Lifetime reunion tour – was also their first-ever concert in Hawaii. The clip from a recent episode of the New Looney Tunes series sees the Guns N’ Roses singer taking on an incoming asteroid with music from a band that includes Bugs Bunny and Porky Pig on guitars. While no details about the possible release of “Rock The Rock” have been confirmed to date, the tune marks Rose’s first new song since Guns N’ Roses issued their sixth album, “Chinese Democracy”, in 2008. Guns N’ Roses were named the No. 7 Rock News Artist Of The Year as part of the 2018 hennemusic Rock News Awards.